Any kind of Brass Fasteners can be manufactured exactly as per 'Drawing' or 'Sample' provided by the customer. 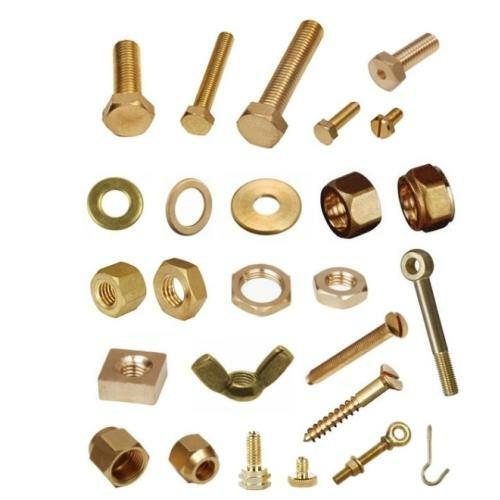 Brass Fasteners are available in various finishes as per requirement. Established in year 2004, We Aston International are specialization in manufacturer, supplier and exporter of wide range of Brass Products. Our assortment of product encompasses Brass Inlet Valve, Brass Mini Ball Valve, RO Coupling. Manufactured using superior quality brass, these products are offered in varied shapes and sizes. Our brass products are widely acknowledged for their attributes like excellent finishing, superior performance and negotiable maintenance. In addition, these products are corrosion resistant and highly durable. With the help of our well equipped infrastructure, we have been able to make sure that these products conform to global quality standards. At our sophisticated infrastructure unit, these brass products are manufactured using high quality brass. Our unit is installed with all the high-tech machines and equipment essential for the production process. Some of the machines used in the production process are cutting machines, finishing machines and polishing machines. Moreover, the products that we offer are well packed using optimum quality packaging material for maximum safety while transportation. Owing to all these factors, we have been able to fulfill the varied requirements of different countries like Australia/NZ, Indian Subcontinent, Caribbean and East/Middle Africa.